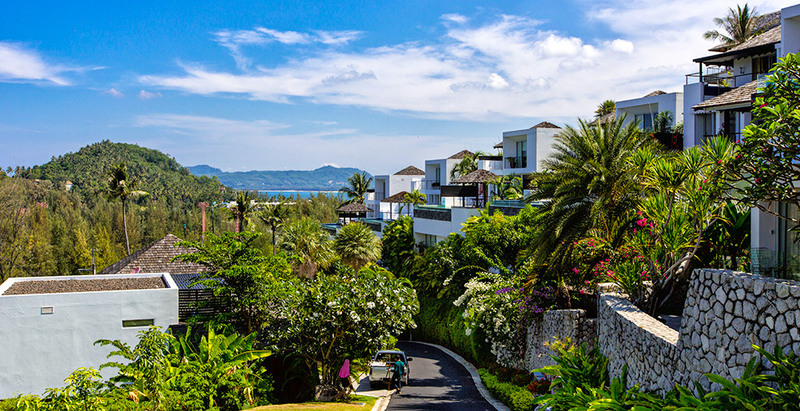 This vibrant, modern holiday home offers magnificent sea views and an exclusive hillside perch on Phuket’s west coast. Just minutes away from the white sands of Surin Beach, the fully-staffed, four-bedroom Villa Napalai Surin is ideal for families and groups seeking a fun-filled tropical escape. The enclosed garden area with BBQ, adjoining gym, spa, kids and bar area offers a wide range of entertainment for all. Imagine waking up to an ocean view, luxuriating by the pool or being treated to a private spa session. This Phuket luxury retreat features four spacious bedroom suites, a gym, spa and children’s play room, plus a beautifully designed games room with a pool table and bar.